The embodiment of youth culture, Adrianne Ho, is almost unrecognisable when she uncharacteristically sports Gucci and Louis Vuitton instead of the customary Supreme and Nike. But if you’ve been into streetwear for a hot minute, you’ll know exactly who Ho is. French-Chinese, born in Toronto but living in Los Angeles, she is reposted everywhere on Instagram for the way she wears men’s clothes better than anyone. 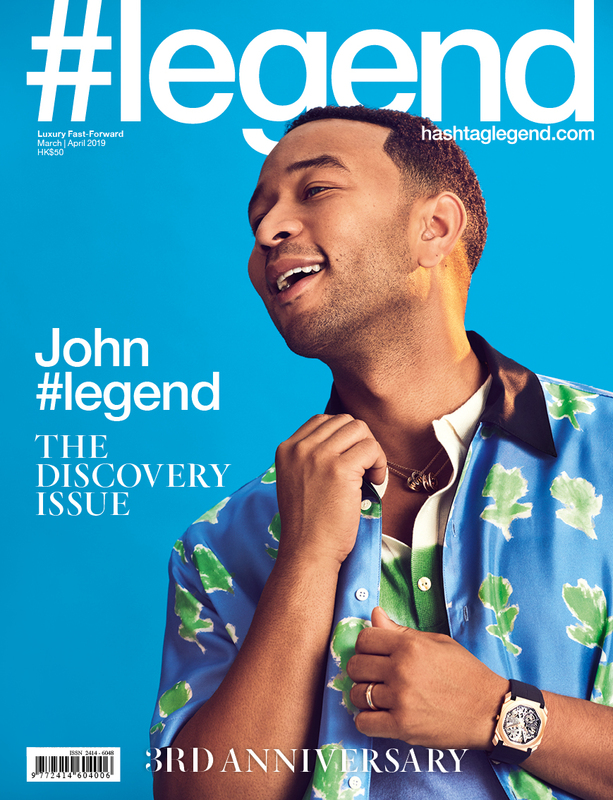 In this exclusive, #legend and Ho talk about high fashion, fitness, entrepreneurship and inspiration. What do you think of high fashion and your future with it? I feel that high fashion is starting to touch upon the world and the culture of streetwear and activewear. You can see it on the runways. My relationship with high fashion is probably going to get stronger as the years go by. What is your training regimen like and what would be your best advice to stay fit? I try to do most of my fitness when I’m not travelling and I try to adjust it whenever I am travelling. When I’m at home in Los Angeles, I see a trainer three times a week and I take classes in different fitness studios, whether it’s like bootcamp-style classes or spinning. There’s also tennis and hiking. I like to hit all categories to mix things up. For somebody who just wants to get into fitness, I think it would be nice, and I know that not everyone can afford it, to seek a professional because the trainer will make you do things you don’t want to do if you were working out on your own. They’ll push you to areas that you didn’t realise you were capable of. Once you get that experience of discomfort, you say to yourself, “I can do it again. I’ll test my limits.” Outside of training, it’s important to have a clean diet. You want to make sure you’re eating the right foods; whole foods or foods that aren’t processed. No weird pre-packed and frozen meals? No TV dinners or hot dogs or anything that makes you say, “What’s in that?” Know what you’re eating: brown rice, chicken, vegetables, eggs. You get what it is, you understand it when you see the ingredient, you can pronounce it effortlessly and it’s not some weird chemical. Food is important to your fitness. Since you’re into streetwear, name your favourite streetwear piece and sneaker. A classic Supreme box logo always looks good. The hoodie, sweater or T-shirt? T-shirt, it just goes with anything. The red or white pair? I love the white ones with the black graphic. I just think it’s super-clean and classic and that it’s timeless. It’s crispy. Do you come to Hong Kong often? What’s your favourite thing about it and where’s your favourite place to go? I haven’t been to Hong Kong in a long time. You’re going to have to ask me later to figure out where my favourite place is. My dad is from Hong Kong and I have family here. I remember, as a kid I’d go to Lantau Island and eat seafood for lunch and dinner. We’d get salt and pepper shrimp. How about mainland China? What’s your favourite spot there? I’ve just finished this crazy tour of the mainland. I was in Beijing, Chengdu, Xiamen and Guangzhou, but, maybe, my favourite city is Shanghai. What is it about Shanghai? I like the French Concession. It’s just beautiful and the streets are lined with trees. I’m French and Chinese, so it’s nice to see the two cultures combine. Many say there’s a lack of streetwear for women. Do you think brands should tap into this potential? I think girls that wear streetwear sometimes like the cut of men’s clothing. I’m working on that right now with my brand, Sweat Crew. We’re working on making pieces that are unisex and women’s activewear. They will have the exact same vibe but you can work out in it and it actually fits. You’re an entrepreneur. What advice would you give to aspiring, young businesspeople? I think it’s just so important to know yourself, know what your passions are and not get distracted by what others are doing. When you know the essence of what you want to do and you know exactly what it is you want, your work will reflect that. Trust that you will make the right decisions, even if it’s not the most beneficial monetarily. In your heart, you’ll know you’re doing the right thing. I mean, the gist of it, for me, is to just be happy, be positive, be good to people and myself, learn other cultures, and enjoy life and what we have. Who is my legend? I think Coco Chanel. In the world of fashion, she was well known for wearing men’s clothes. I feel like that’s something I’ve always done.